If you are facing bankruptcy, due to overwhelming personal debts or a failing business, federal bankruptcy laws offer you a way to either liquidate your debts under Chapter 7 or develop a plan under Chapter 11 to pay off your creditors over time. Although most individuals who opt for the repayment plan file under Chapter 13 instead of Chapter 11, Chapter 13 contains a ceiling for the amount of debt you owe. If your debts exceed the ceiling, Chapter 11 is available to you. If you want to make a fresh financial start by eliminating all of your debts -- except some that legally can't be dismissed by bankruptcy -- file a Chapter 7 petition with the bankruptcy court in Tennessee that handles cases for your county. Not everyone qualifies for Chapter 7 bankruptcy. You must meet a means test that is based on the median income in Tennessee. If your income is below the median, you are allowed to file for Chapter 7. If your income is slightly above the median, you still might be able to file under Chapter 7 by passing the second half of the test, which evaluates whether you have enough assets to pay back some of your debts. 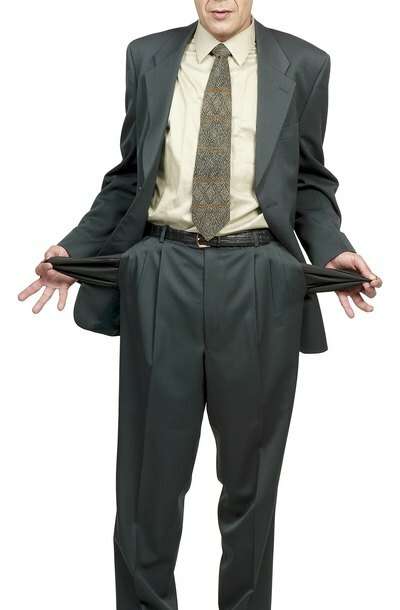 Debts such as student loans and taxes are not dismissed by bankruptcy. If you have a mortgage on your house or a car loan, you must continue to make payments or risk losing them. Debts that are discharged under Chapter 7 no longer legally exist, freeing you from any obligation to repay them. Both the federal bankruptcy code and state statutes provide for exemptions that you can use under Chapter 7 to retain assets after your bankruptcy petition is approved by the court. In Tennessee, these assets include a homestead exemption of $5,000 or $7,500 for joint ownership, life and health insurance policies, pension plans, personal property such as health aids, burial plots and memorabilia, government benefits such as Social Security, unemployment insurance and veterans' benefits, $1,900 exemption for tools of your particular trade, and a "wild card" exemption of $4,000 for personal property. Chapter 11 is available for individuals, corporations and partnerships. When you file under Chapter 11, you are reorganizing your business affairs. You are able to retain assets and operate the business while you reorganize and devise a repayment plan that enables you to pay off at least some percentage of your debts. The payment plan must be approved by your creditors and the bankruptcy court. If the creditors reject the payment plan, sometimes the debtor can force creditors to accept it anyway under a statutory provision known as a "cramdown." Chapter 11 is often the most complex and expensive of the bankruptcy chapters. The Moran Law Group says the rate of successful Chapter 11 reorganizations is estimated at 10 percent or less. As a result, most Chapter 11 filings are by large businesses, such as General Motors, which filed for bankruptcy in 2008 and successfully reorganized with the help of government loans. Investopedia: Frequently Asked Question: What Are the Differences Between Chapter 7 and Chapter 11 Bankruptcy?